See alternate cover edition here First published in 1968, this classic fantasy is a coming-of-age tale about a boy destined to become the greatest sorcerer in the world. In the 1001 island realm of Earthsea, Ged is a poor blacksmith's son born with an innate understanding of magic. 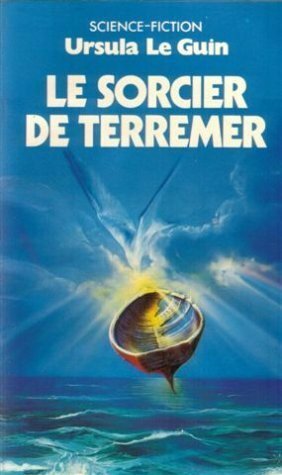 But when he studies at the Roke Island school, he lets his arrogance and antipathy for anothe See alternate cover edition here First published in 1968, this classic fantasy is a coming-of-age tale about a boy destined to become the greatest sorcerer in the world. In the 1001 island realm of Earthsea, Ged is a poor blacksmith's son born with an innate understanding of magic. But when he studies at the Roke Island school, he lets his arrogance and antipathy for another student lead him into a disastrous mistake -- unleashing an evil spirit bent on devouring Ged's essence.